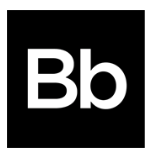 Educational company Blackboard is hiring a senior data scientist. Apparently they offer free flu shots as one of their perks. the Sr. Data Scientist plays an integral role in the design, development and implementation of machine learning and statistical methods on big data sets to identify students at-risk of low performance in a course, determine online course design characteristics and their impacts on student learning, and other analysis projects related to learning and teaching with technology. Findings from this research will be used to create production-level algorithms within Blackboard applications and inform product development priorities.